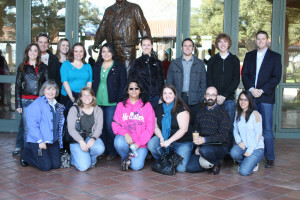 The American Principles Institute is the Central Valley’s first and only think-tank for conservative policy solutions. We are committed to showcasing the best and brightest conservative minds on paper and in person. An active part of our mission is holding engaging, easily-accessible programs for the general public. Our biggest event–the one our organization is nationally known for–is the API Liberty Summit, held annually in Fresno, CA. The API Liberty Summit is the largest annual one-day conservative convention in California and is attended by conservative activists, vendors, organizations, and elected officials throughout California. What started as the Sunbird Conservatives Conference in 2009, has transformed into a full-day spring convention that expands upon the traditional single-speaker event commonly seen in the conservative movement. API has made it a priority to seek out national and state conservative organizations to attend, sponsor, and participate in the convention. 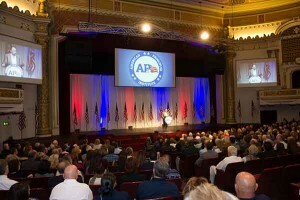 In addition to this convention, API maintains an active presence on local college campuses, sponsors functions in the community, and hosts events, regional fundraisers, and conferences for conservatives in California. API programs are known for their quality and the overwhelmingly satisfying guest experience. 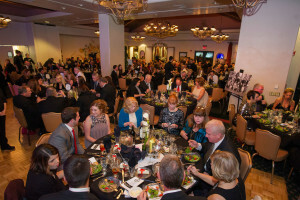 We maintain this quality through a set standard of goals and objectives at our events. To provide a welcoming environment for conservatives of varying maturities to expand upon and explore their knowledge of conservative ideas. To provide a platform for local, state, and national conservative organizations to share their mission with California’s conservative constituency. To bring together the nation’s leading conservative organizations to inspire and advance the knowledge of the conservative population. To bring together conservative commentators, community leaders, organizational representatives, and policymakers to better provide a conservative solution to local, state, and national issues. To promote renewed awareness of and commitment to combating liberal bias, strategies, and policies. To connect new and existing conservatives through engaging programs that challenge their knowledge of conservatism. To illustrate the need for conservatives to get involved in political organizations and engage in policy discussions. To advance the skills and abilities of conservative leaders to implement conservative strategies, policies, and programs. To increase the capacity of conservatives to comprehend, communicate, and preserve conservative values in their communities. In addition to these goals and objectives, our organization is actively building a coalition of conservative organizations and individuals to bridge the gap and collectively move the conservative movement forward in California. With our six principles as our guide, we’ve been able to create a growing platform for conservativism in this great state. In addition to our organization’s six principles of conservatism, we have created set of internal principles that help us foster a sense of cooperation for all conservative ideas and ideals. Be always mindful of the principles of free enterprise, traditional values, individual freedom, limited government, personal responsibility, and the importance of a strong national defense. Be encouraging of all open dialogue, discussion, and debate about conservative policies and practices. Be inclusive of all ideologies on the conservative political spectrum. Be active in developing stimulating programs that are edifying to all participants. Be accessible to local, state, and national conservative organizations looking to share their mission with attendees.